Design a group policies for organization some time getting more complex. It can make chaos as some time it very hard to revert back the changes pushed from group policies to workstations. Especially things which involves with registry value changes. So proper design is very important. There are some tools/features comes GPO management which can help with design, test or troubleshooting group policies. Please note none of these recommended to use as permanent solutions to fix group policy design issues. 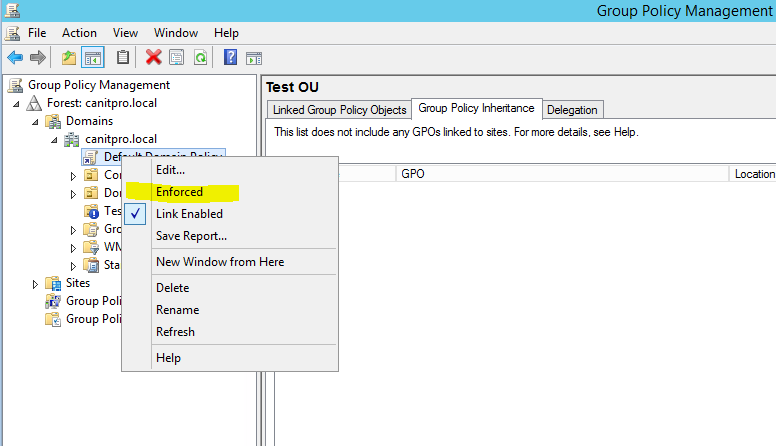 Any GPO setup on the higher level in GPO structure automatically applies to the lower level in the model. 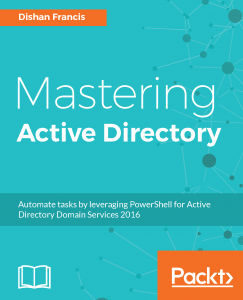 For example the “Default Domain Policy” by default in the highest level in structure. So any changes done on that (which is not recommended) also applies to lower level in hierarchy. In following screenshot, as you can see the default domain policy is automatically inherited to “Test OU” I have created. We can disable this inheritance. To do that, right click on the OU which we need to block the inheritance and click “Block Inheritance”. Once it’s done, we no longer can see the default domain policy which was inherited. Using enforced policy option we can enforce policies to apply on lower level in hierarchy. For example let’s assume we have two polices called Policy A and Policy B in height level in hierarchy. 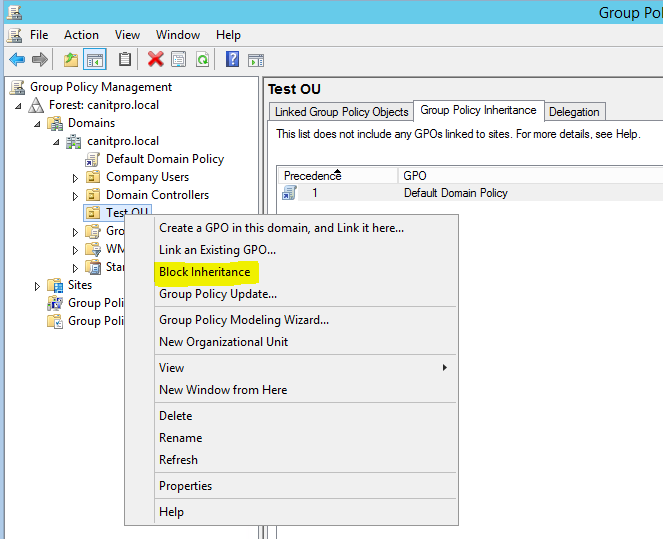 In lower level in hierarchy some OU are blocked policy inheritance so these 2 policies by default will not apply to those two. But we still need to push Policy A for everyone in organization no matter what. So by enforcing the policy we can even push it to the OUs even its use block inheritance. To enforce a policy, right click on the policy you needs to enforce and click on “Enforced”. Then we can see in Test OU, it is inherited even its use block inheritance option. As we know we can apply group policies based on the user object or the computer object n active directory. But some special occasions we need to only consider the policies based on computer object. For ex- in a library or public lab, many users may uses the same computer. In that case the computer should stay same for every users. It should not change based on the user policies. It only should use the computer policies which is applied to it. 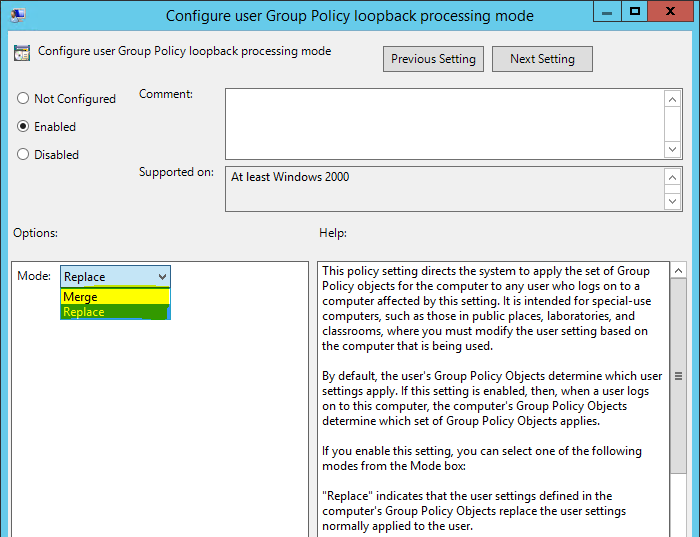 In group policy management, start to edit the policy you like to configure with loopback processing. Under Computer Configuration\Policies\Administrative Templates\System\Group Policies\ double click on the option “Configure user Group Policy loopback processing mode”. There are 2 modes we can use with it. Replace – This will not consider about user polices at all. It will only apply the computer GPO. Merge – in this mode it will consider both user and computer polices. But if there is any conflict it always uses the computer policies.